After a glorious 40-year run, Mecca Book House is bidding adieu. And you can pick up their bestsellers for just INR 50 or 100. Around 40 years ago, Abdul Hameed Sait, a long-time Bangalorean, started Mecca Book House in Frazer Town. It was established as a circulating library. And in the following decades, the library was taken over by Sait’s son, Fareed Ahmed, the current owner. But now, the iconic establishment is set to shut shop. And, in its final days, Mr. Ahmed is selling off his prized collection to interested buyers in the city. 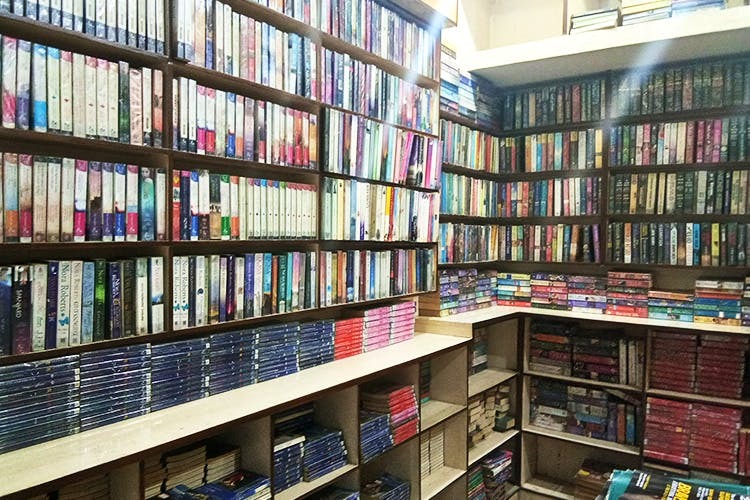 The shop’s inventory initially had over 2,000 books. But bookworms have been swinging by and there are a few hundred left now. The books are in mint condition and have been bound and preserved well. For INR 50, you can pick from a vast collection of Mills & Boons. But if you are looking for thrillers and bestsellers, it will cost you INR 100 a pop. Here, you can choose from books by the likes of Agatha Christie, James Patterson, Robin Cook, and Danielle Steel.